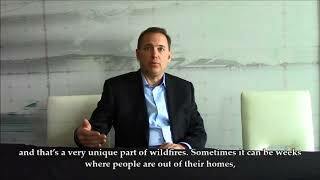 If your community or property is hit with a wildfire, the damage can be devastating. Your recovery can depend on how you assess and report the damage. Our team of experts helps you obtain the maximum claim recovery so you can get back on your feet sooner. Our experienced public adjusters evaluate all of your loss, and negotiate a claim on your behalf for a maximum amount to recover. You suffer a wildfire and the destruction is sprawling. As you face the full-time tasks of minimizing the damage, you also now need to secure the funding for your recovery. Will it come from insurance? How long will it take? Will it be enough considering the amount of damage? How will you know? This issue of Disaster Recovery Today focuses on the methods for presenting disaster-related costs to FEMA to obtain a favorable decision on eligibility. This step is the fourth in a nine-step process identified by Tidal Basin to respond to a declared disaster.